Simply, Ramadan starts when the Waxing Crescent appears in the sky. Ramadan is a month that Muslims anticipate throughout the globe to receive its blessings by performing more Islamic rituals in order to achieve higher spiritual wellness and to gain Allah’s promises of forgiveness and eternal paradise. Here comes the importance of how to decide the first day of Ramadan, as well as the beginnings and ends of every Lunar month in the Hijri Calendar. 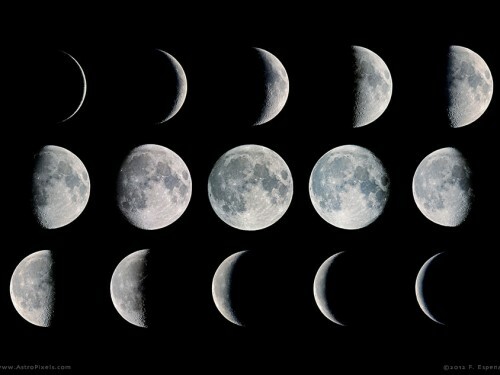 Lunar Calendars seem to have great importance and significance in different cultures and civilizations. Simply, Ramadan starts when the crescent appears in the sky. Yet, fulfilling this task accurately is not as easy as it sounds since there are conditions and rules which must be obeyed for a correct sightseeing and authentic observation. Let’s first show how the start can be distinguished by naked eye observation. In order to make a naked eye observation of the crescent, you need to go to an open space with an open western horizon. The site must have a clear sky and an above-sea level altitude to have the least good conditions for possible observing. The observer should go to the observing site on the 29th of the previous Hijri month and look for the crescent at the west direction during sunset. If the observer sees the crescent, this automatically means that Ramadan has started, while if the observer doesn’t see the crescent this means that the next day will be the 30th of Shaaban which will be the last day of Shaaban. The crescent must be obvious after the sun sets, otherwise if the observer noticed the crescent with the naked eye before sunset –almost impossible- this would not be counted as the crescent of the first day of a lunar month. If the observer sees the crescent having its horns facing downwards, this would mean the observer has seen the Waning Crescent which is the crescent of the end of a lunar month. Hence, a lunar month must start with what we call a Waxing Crescent which is the correct crescent of the beginning of the lunar month with its horns facing upwards. A few Muslim countries find it haram, i.e. islamically unlawful, to observe the crescent through telescopes and optical instruments, while many Muslim countries find the optical instruments just an aiding extension of the naked human eye, similar to eye glasses. Due to optical instruments’ magnification capabilities, it is a must that the observed Waxing Crescent appear above the solar disc, while there is an argument between different schools about how much the apparent distance between the sun and the moon should be. The distance between the sun and the moon is an angle that is measured to determine the time between the sunset and the moonset. This time measurement is called “Mukth” in Arabic which is the time taken between the sunset and the moonset. A new Hijri month is to begin when the Mukth at the 29th of the previous month is positive which means the crescent sets after the sunset. Sometimes optical instruments are preferred over the naked eye for their abilities as they accurately make sure an observer is certain of the crescent sightseeing. That’s because the crescent appears very faintly thin and like a thread of light which can hardly be seen clearly especially if the sky is not clear. It appears that there is an argument about whether to calculate or to observe the crescent of the lunar months’ beginnings. Some Muslim countries prefer sightseeing only like Saudi Arabia, while Albania and Turkey prefer to only Calculate. On the other hand, Egypt prefers to do both sightseeing and calculations as this makes sure the calendar is perfectly accurate as well as making sure the Islamic regulations are obeyed. Sightseeing has its advantages as it is easy and simple; making it the available way for any observer to conduct. Yet, observation either with naked eye or via telescopes has its major problems, as they won’t help in cloudy days and unclear sky climates. That’s why some Muslim countries like Egypt prefer both sightseeing and calculations, knowing that the results of calculations are very accurate as modern astronomical calculations went far into accuracy. Calculating the start of Ramadan or any lunar Hijri month is not a sophisticated procedure which can be done nowadays with very simple and free computer softwares and simulators. Calculations are so accurate that they can have all variables included even the light refraction and light pollution. In some cases, the start of the Hijri months varies in different Muslim countries even when the calculations and observations are right, this is a case in which different horizons can have different beginnings of the lunar months. Lately, different scientific conferences suggested the idea of observing the crescent with satellites while some researchers suggested using radio telescopes for observing the crescent which can definitely help with unclear skies. Using radio telescopes can make observing the crescent from air polluted cities 100% possible. Modern science develops everyday while scientists and researchers are trying to find the best solutions for deciding the starts of the Hijri months and the welcomed holy guest, Ramadan. “Sebaha Fada’iah Fi Afaaq Ilm Al-Falak“, Dr. Muhammad Ahmad Sulaiman, 1999, Egypt. Wael Hazem Fouda is a lecturer and an Administrative Member in the Astronomical Society of Mahmoud Mosque (ASMM), Egypt. He's a science researcher who published an original article in Applied Science and Technology on Subtle Energy. He’s also the founder of Neometry and the author of the books " Neometry: Let the Forms Speak" and " Subtle Energy: a Physics Interacting Force".